Hey LC readers, it’s the gals of the Skinny-Fat Girl Diary again, and this month something phenomenal happened… For the first time ever, all of our men are out of town at the SAME TIME! Now don’t get us wrong, we still make sure to have plenty of girl time no matter what the fellas are up to, but with the boys away, the girls will play. It’s the perfect excuse for a 20-something slumber party and we’re going to enjoy every second of it. Bring on the rom-coms, the homemade beauty treatments, and of course it wouldn’t be an SFG sleepover without the treats! Growing up, sleepovers were the ultimate girl-time experience full of laughter, gossip and epic storytelling all as we binged on the best and worst of junk food. This SFG experience was nothing less… but instead of over-indulging on food we’d regret in the morning we decided to whip up some of our favorite classic treats, but with a new healthy twist. This night proved we could still have fun at a sleepover without sabotaging all our hard work at the gym! Enjoy! Preheat oven to 350 degrees and bake for about 20 minutes. For the frosting, melt together a tbsp of vanilla extract, coconut oil and a cup of chocolate chips! This recipe is absolutely delicious. Honestly, us SFG’s couldn’t get enough. But remember, a healthier cupcake may not have the same consistency as a sugary one! Put coconut oil, salt and 1 kernel in large (high wall) pan and heat on the stove. Place the lid over the top and wait for it to pop. When the first kernel pops, add the rest of your popcorn kernels. Even out the kernels in bottom of pan, coating each with the oil. Place the lid back on the pan and wait. (I like to shake the pan back and forth to help disperse the heat.) While the popcorn is still hot, lightly mist it with vanilla extract and sprinkle the protein powder on top, shake it up until it’s evenly coated. 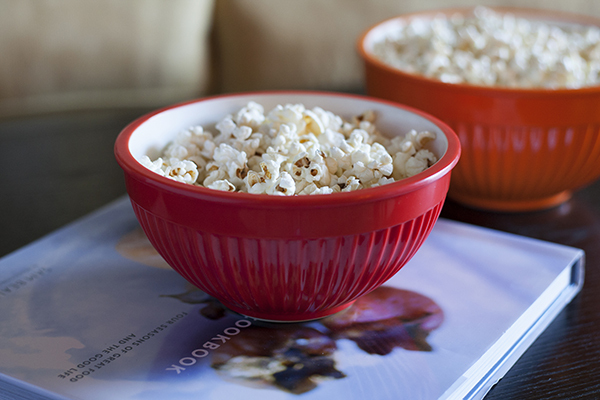 Pssst… It’s very important you air pop your popcorn, and not use the microwavable bags. Most microwaveable brands use bags that are lined with perfluorooctanoic acid (PFOA), which is the same chemical found in teflon pans. When heated, it is linked to several health issues such as cancer, infertility, etc… Scary, we know! Plus, it’s much more fun to pop it on the stove anyway! 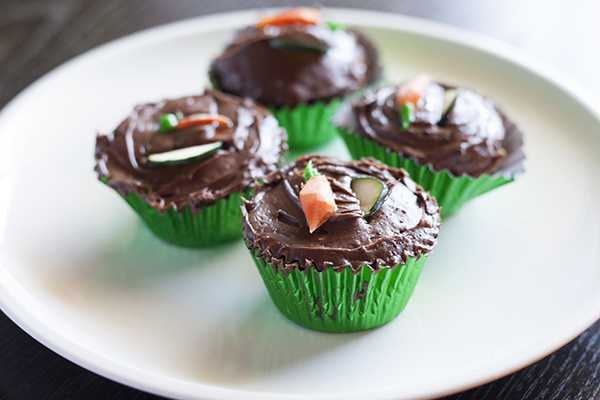 Feel free to indulge with these healthy treats! For more recipes and the fashion behind our girls getaway head to our blog. What snacks will you try at your next girls night in?